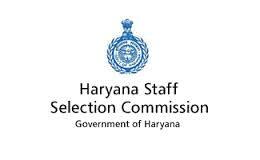 HSSC Jobs Recruitment Notification 2019.Haryana Staff Selection Commission, HSSC inviting applications for the positions of TGT Sanskrit.Interested and Eligible candidates can apply for the positions. A printed copy of the application form with original certificates and photocopy of self-attested certificates must be brought by the candidate at the time of scrutiny/ verification along with Photo, Identity Proof i.e. Identity Card/ Driving License/ Passport/ Voter Card/ Pan Card/ Aadhar Card etc.